At the Free Minds, Free People conference in Baltimore this summer, I stopped by the Teaching for Change table. 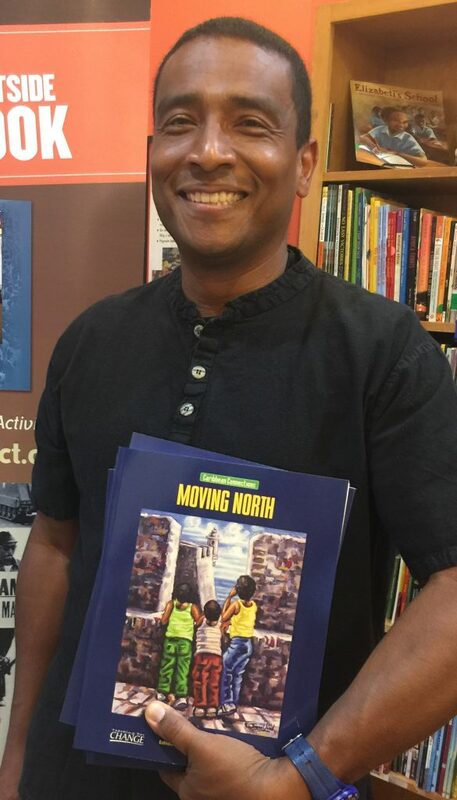 They graciously donated copies of the book Caribbean Connections: Moving North for my high school ESOL students. This group of students, ranging in age from 14 to 20 years old, attend a large suburban high school in Gambrills, Maryland. They come from many different countries including Thailand, El Salvador, Nigeria, Guatemala, Vietnam, Guinea Bissau, China, Cameroon, the Philippines, and Honduras. The students have read many of the poems and essays in Caribbean Connections: Moving North. The essays show a reality close to that of my students. They tell the story of migration and the hardships that it represents. By reading the book as a class, we were able to develop a profound understanding of our shared human nature and the similarities that every migrant faces wherever they come from. To further this discussion, we read two more essays from the book, “Attitudes toward Immigration” and “Black Hispanics: The Ties That Bind” by Vivian Brady. The students worked in groups to present these topics to their classmates and had a discussion.